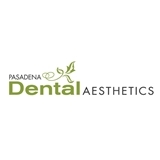 Pasadena Dental Aesthetics (Pasadena) - Book Appointment Online! Dr. Azarbal is the only dentist I trust completely. He is very through in his explanations and makes sure you are comfortable in each situation. He is also very skilled in what he does and is a true professional. His equipment is state of the art and his staff is friendly and helpful. They all make the dental experience a rather pleasant and painless one. I have recommended him to many friends and colleges, he is a great resource.